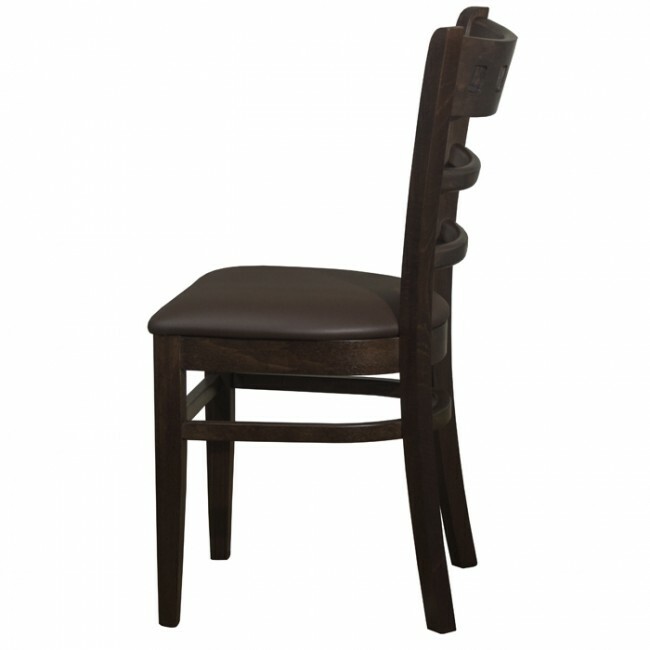 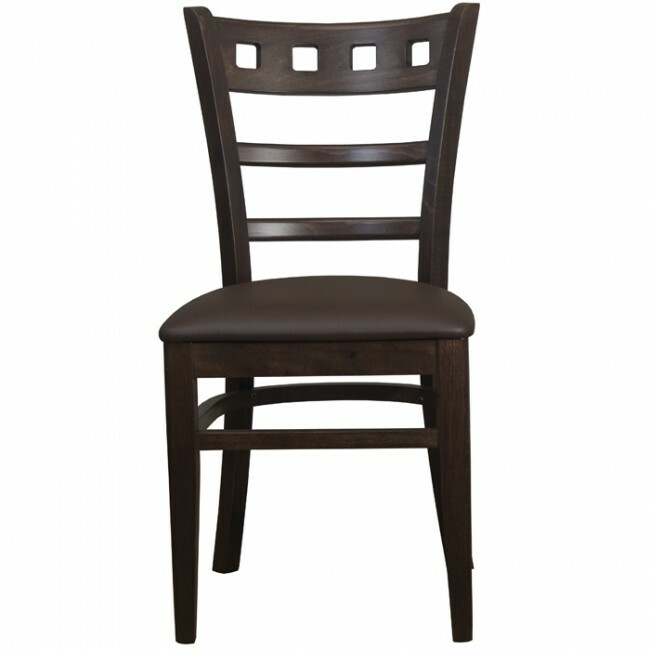 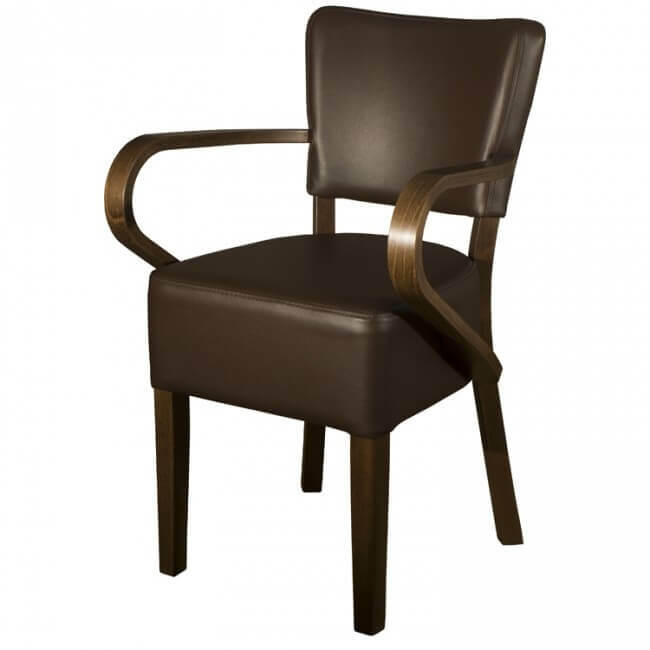 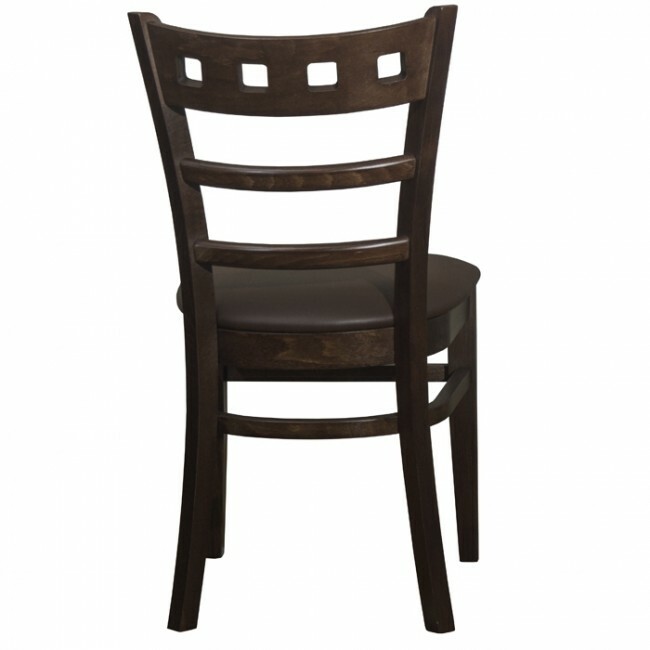 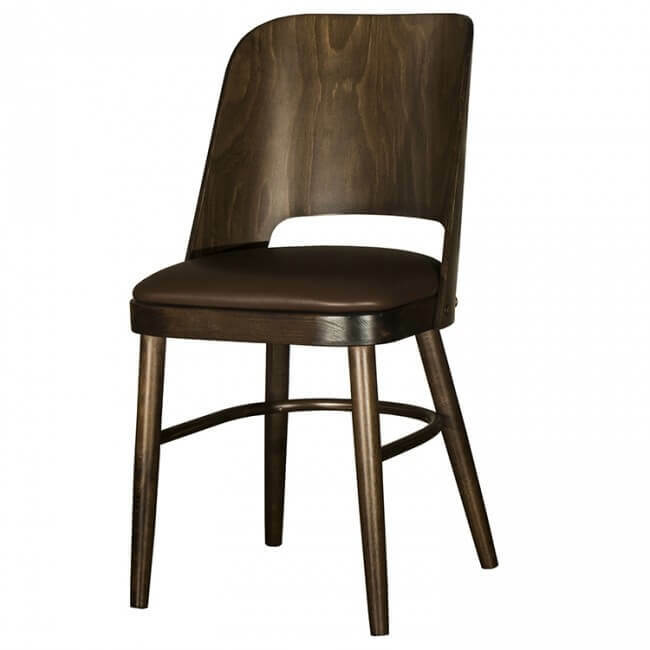 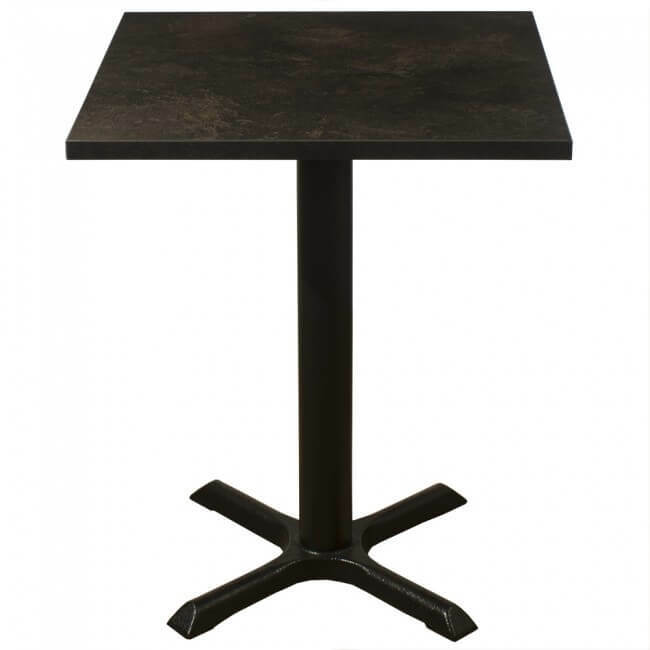 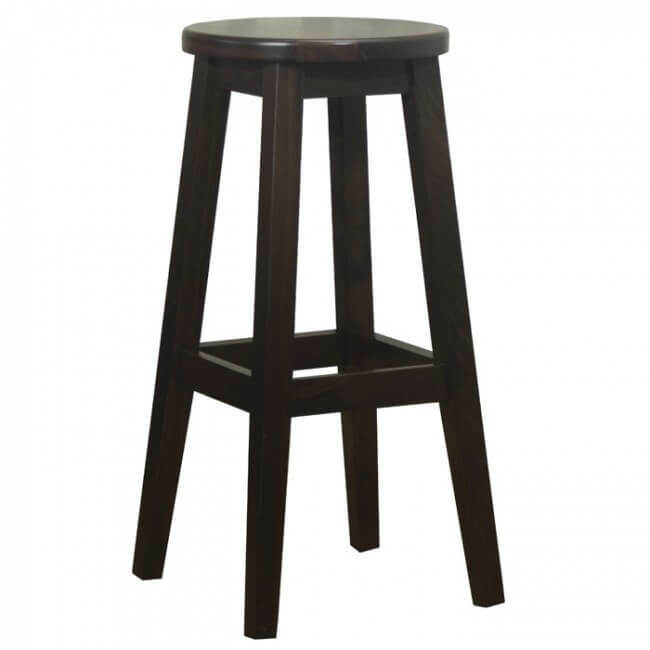 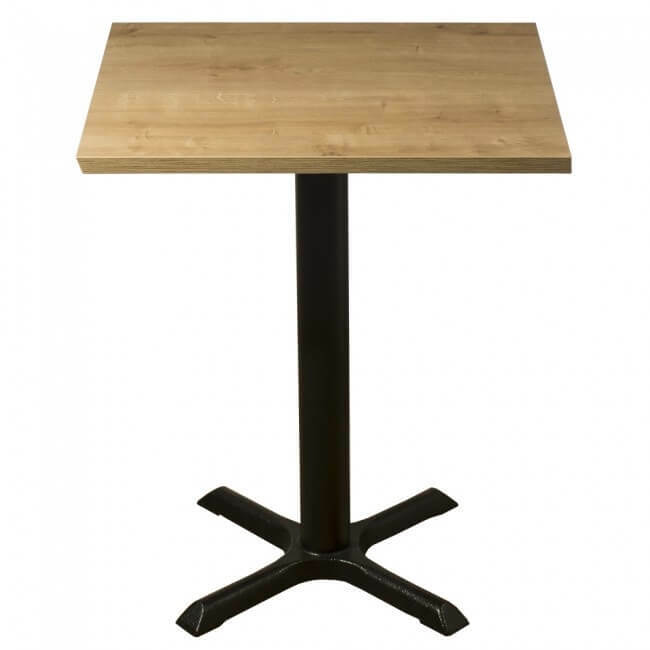 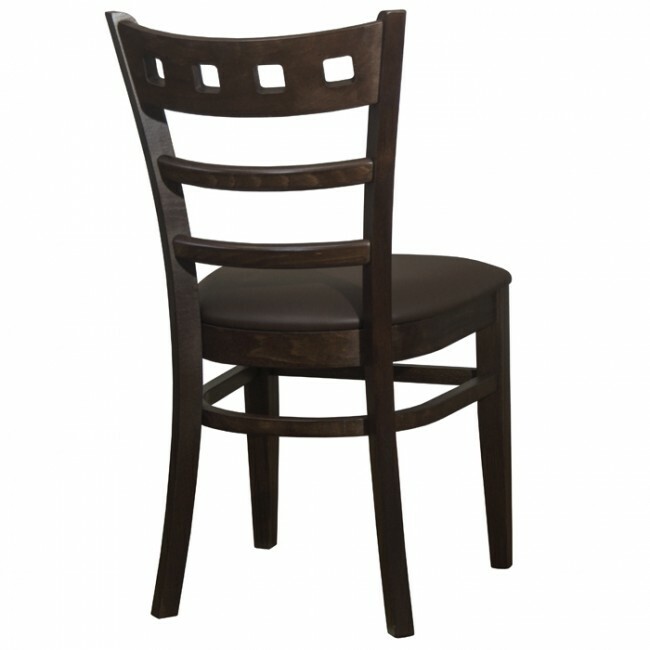 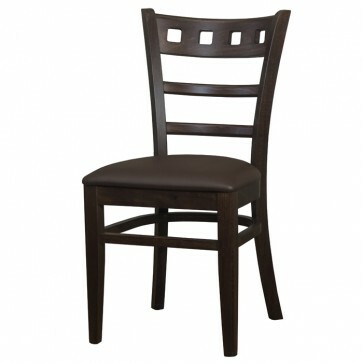 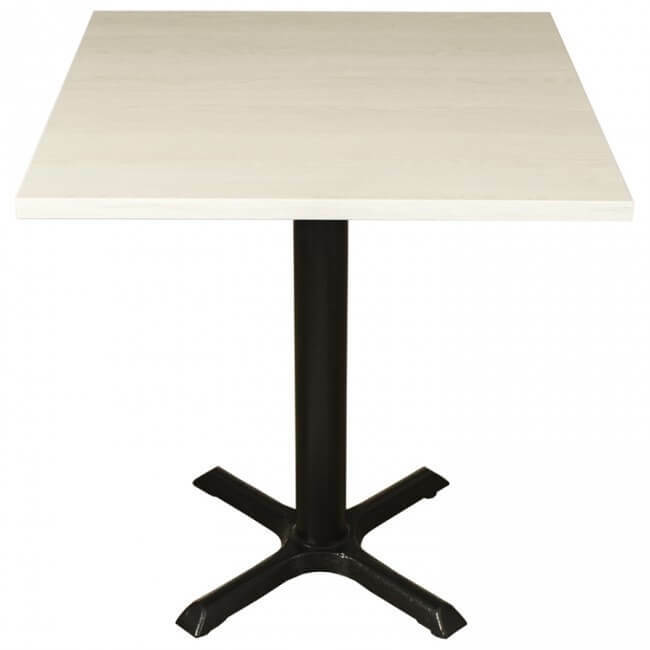 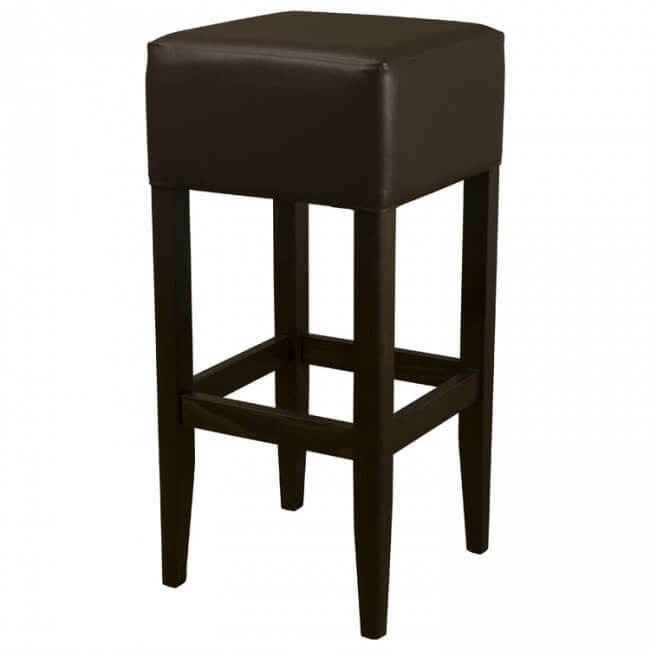 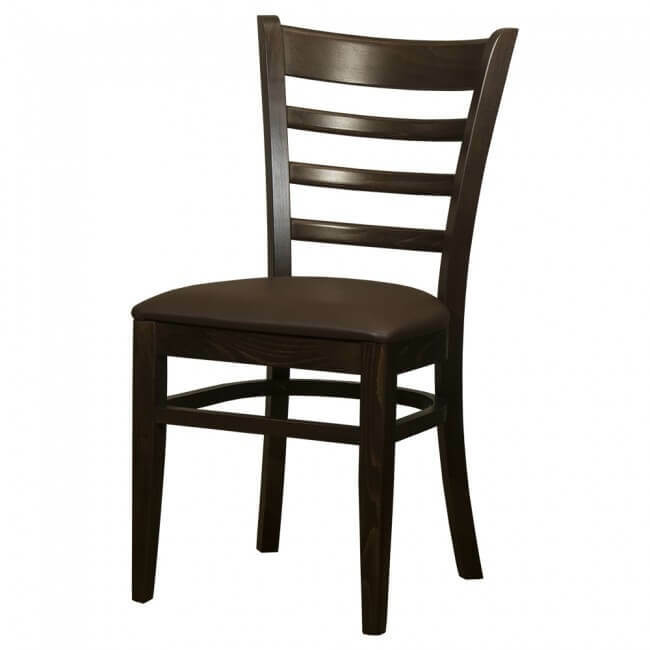 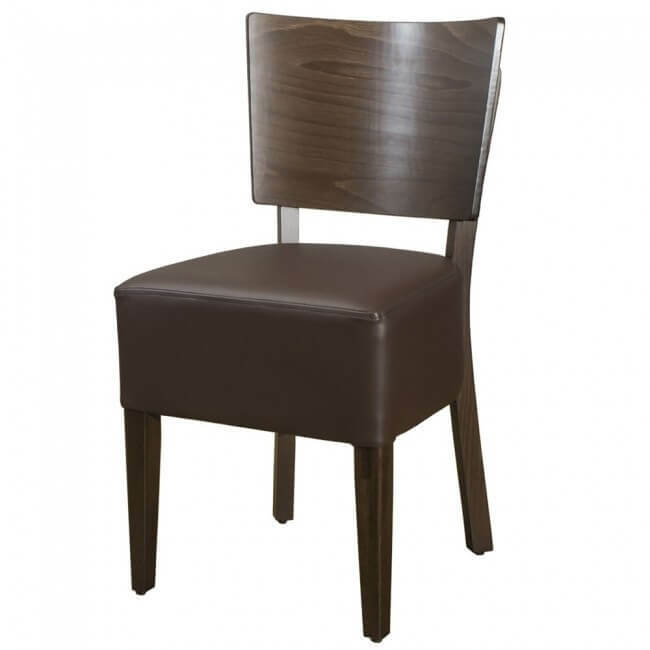 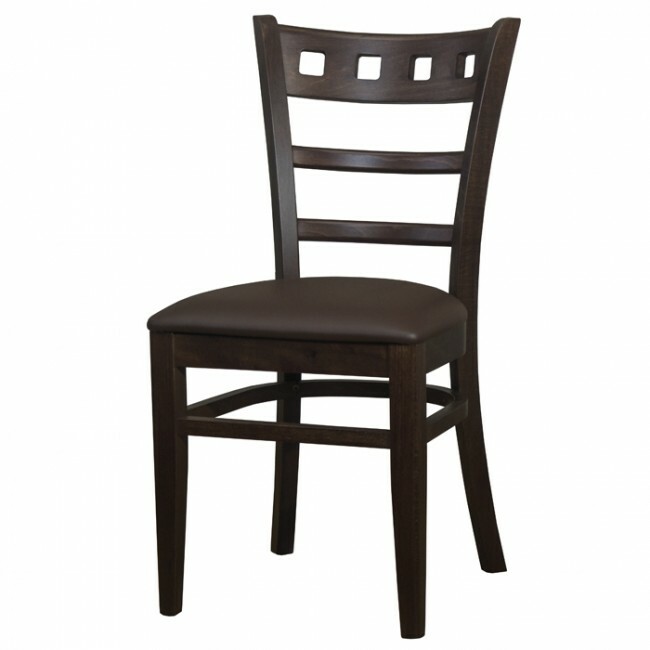 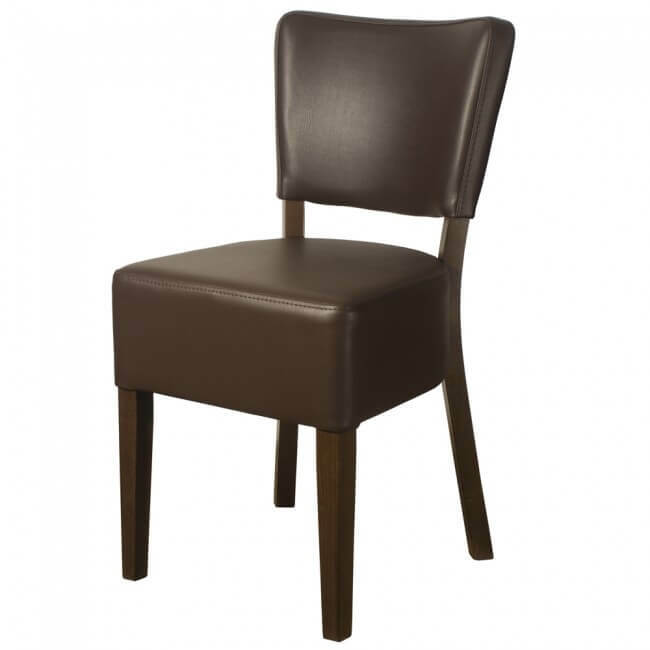 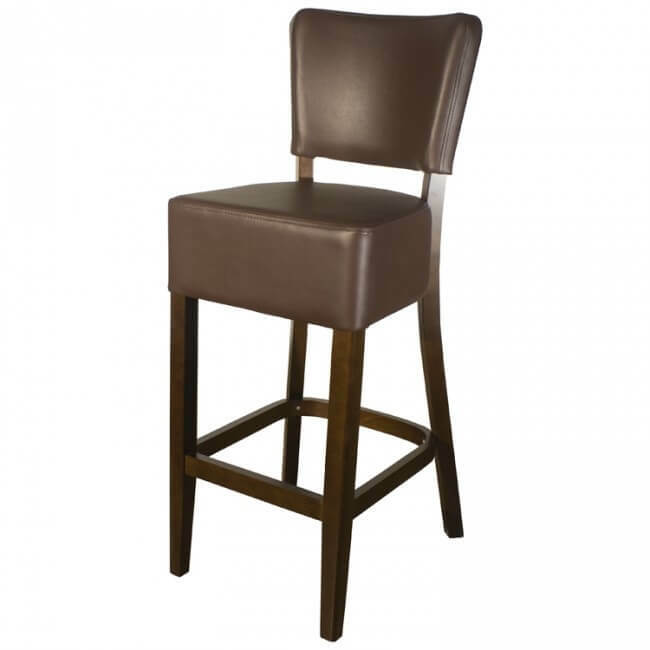 The Enzo side chair a subtle and contemporary design that suits a wide variety of establishments from bistros and cafes to pubs and restaurants. 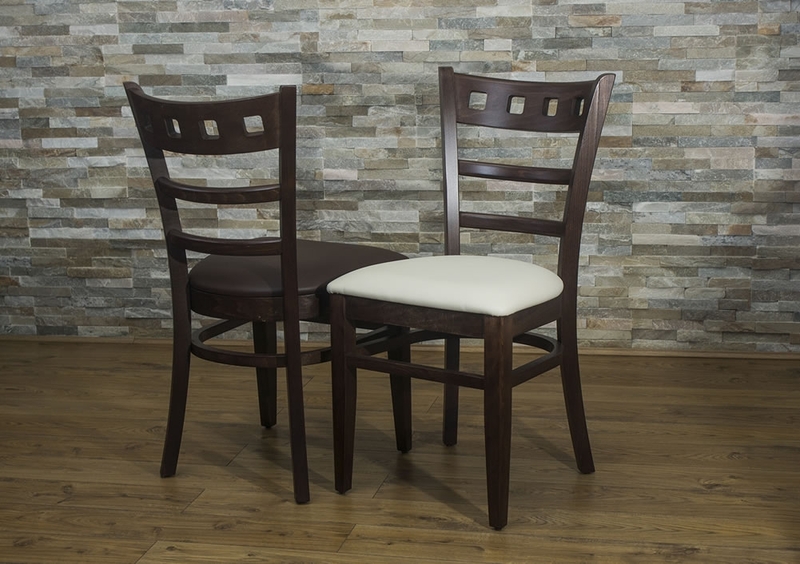 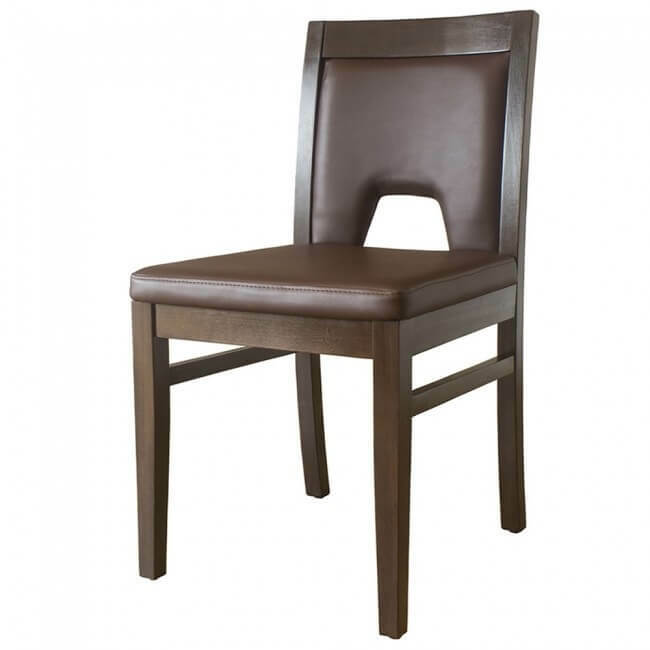 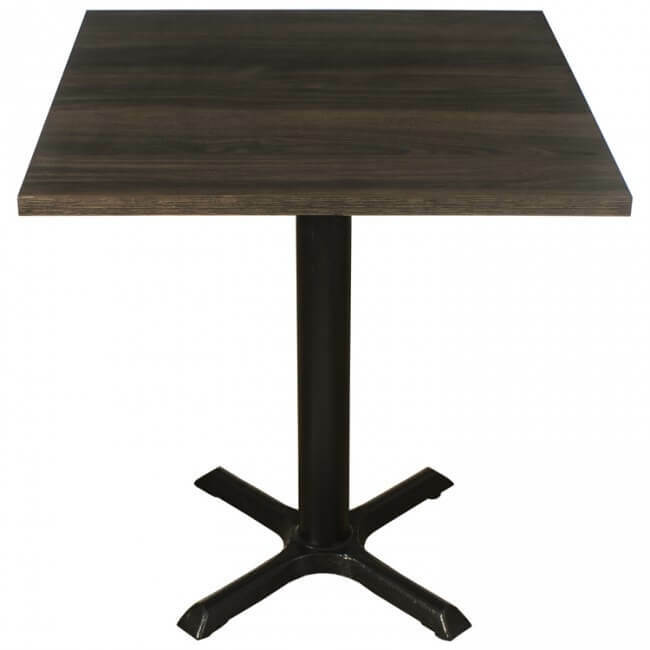 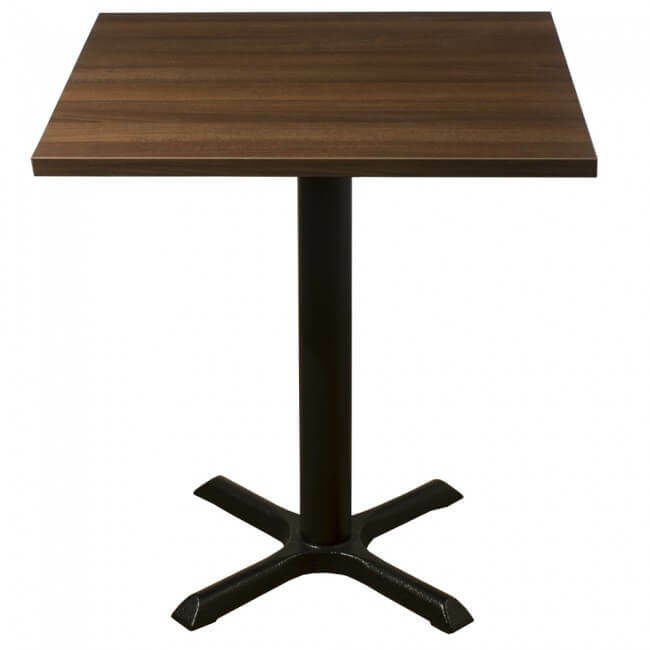 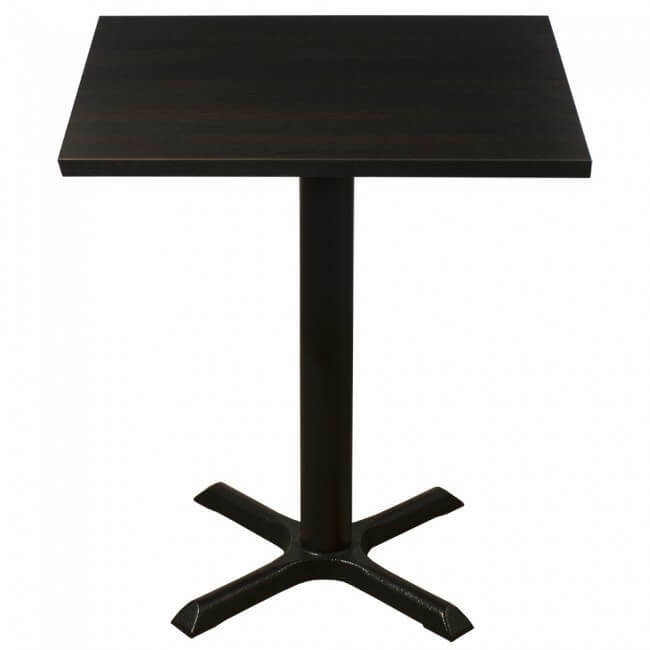 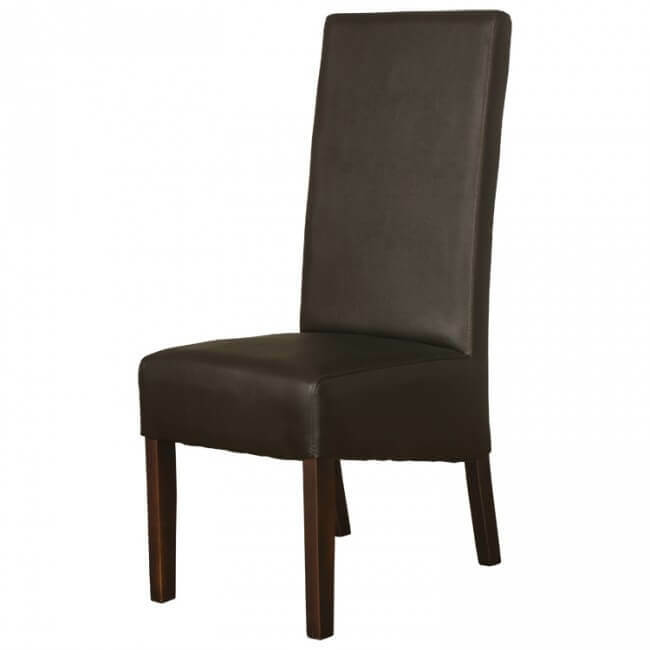 A sturdy commercial chair made from solid beech and finished in an elegant walnut wood stain with a durable padded faux leather seat made with crib 5 rated foam and faux leather to meet the stringent UK contract standards. 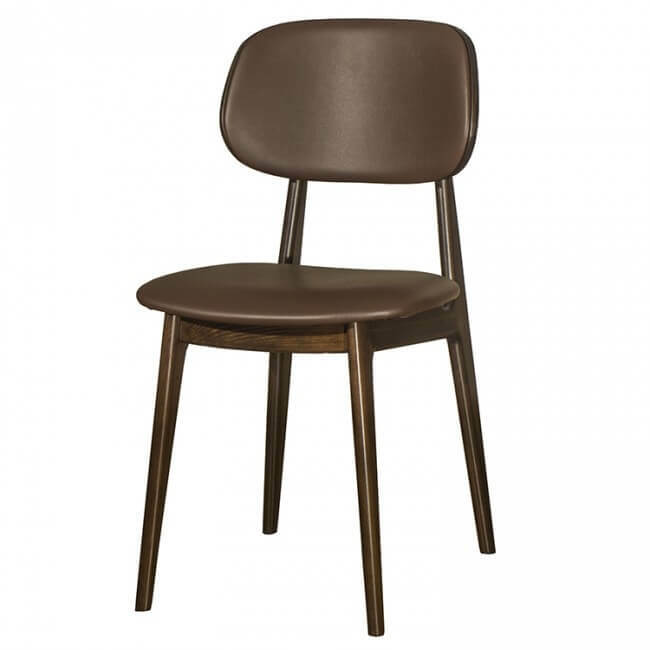 NEW MODEL New improved model, the new version of our Enzo chair now goes great with our Belmont range using the same brown and cream faux leathers and walnut finish frame.